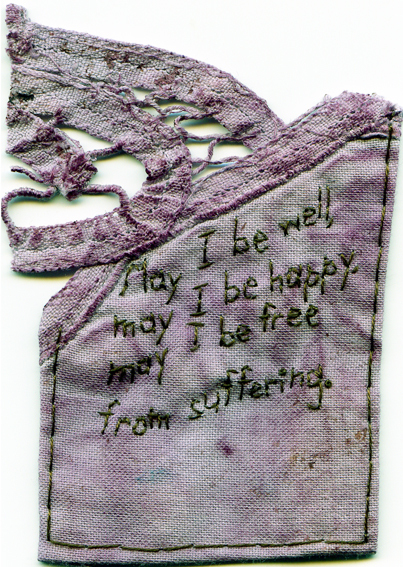 “May I Be Well, May I Be Happy, May I Be Free from Suffering.” 2012. Embroidery on antique fabric dyed with mixed berries. In the words of Erin Endicott, a talented embroiderer. 3.5″ x 2.5″.